Tributes have poured in for a popular Doncaster man found dead at a block of flats yesterday. 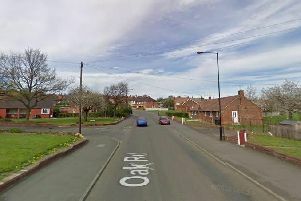 The victim, named locally as 18-year-old Lewis Guest, was found yesterday at flats off Wadworth Street in Denaby Main, Doncaster. He was found at the flat after emergency services were called at 2.30pm yesterday. Lewis was rushed to hospital but could not be saved. South Yorkshire Police has launched a murder investigation and arrested a 18-year-old woman who is still in police custody tonight. Many have paid tribute to Lewis on social media today. Lauren Jayde Taylor said: "Can't believe what I'm Tributes have poured in for a popular Doncaster man found dead at a block of flats yesterday. hearing one of my good pals has sadly grew his wings. R.I.P Lewis gone but never forgotten will be missed so much fly high sleep tight." Dannielle Libby said: "It's a very cruel world we live in. Such a lovely young lad and far to young to have his life taken. RIP Lewis Guest." Chloe Baines said: "Rest in peace Lewis Guest, really can't believe it's true. You're going to be missed by a lot of people lad, never going to be forgotten! Fly high mate." Ellis Cheetham posted on Facebook: "Wow, big shock that bless him Lewis Guest. Partied hard with you kid, RIP lad." Klaud Siwak posted on Facebook: "Still can't believe what's happened - worst phone call I've had. Our memories are treasurable - RIP Lewis, thinking of you." Carla May Wainwright posted on Facebook: "Rest in peace Lewis Guest. Haven't seen you for years but I remember us all playing out together when I came to my Dad's on a weekend. Can't believe it. Such a scary world we live in. Too young." Jade Starr‎ posed on Facebook: "RIP Lewis saddest news ever. Still can't get my head around it such a young talented lad taken so soon. God only takes the best - sleep tight angel." ‎Alex Stead‎ said: "Still can't get my head around that you're gone. Was only speaking to you last week. Never forgotten Lewis. Sound lad, always made me smile seeing him all over Facebook. Madness in a better place now mate. Will have a drink for you on weekend brudda. RIP to a close mate." Bethany Shipley‎ posted: "Rest in peace Lewis. Shared some good childhood memories with you, you were a good lad and didn't deserve to be took this soon you're in a safer place now, fly high." An 18-year-old woman was arrested on suspicion of murder and remains in police custody tonight.